Commercial architects and interior designers are utilizing more and more glass elements such as partitions, dividing walls and conference rooms walls. By way of design, glass elements add depth to small floor plans, increased sunlight and open views of interior office spaces. Glass dividing walls are also less expensive to install than standard dividing walls. 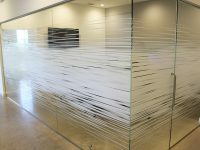 The increased demand has also created a market for decorative glass solutions such as etched vinyl and decorative window films. 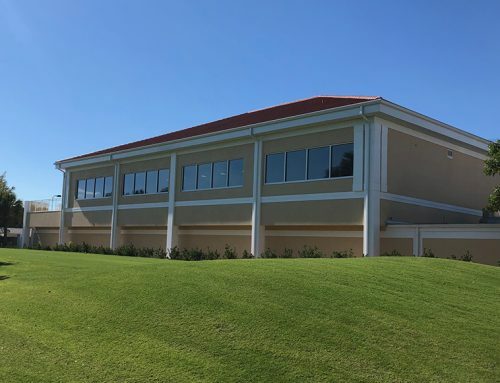 Suncoast Window Films is a known and trusted leader in the window film community with a reputation for bringing glass to life! HIPAA law compliance and privacy are the biggest driving factor when considering a privacy film solution. 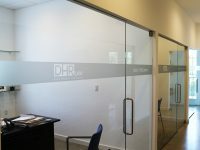 Our solution based films and etched graphics can obscure the view of documents and computer monitors. Where privacy is a concern, we can adjust the level of obscurity from light to totally opaque. From law firms to doctor’s offices and even airports, we can bring you solutions that offer privacy and great design! 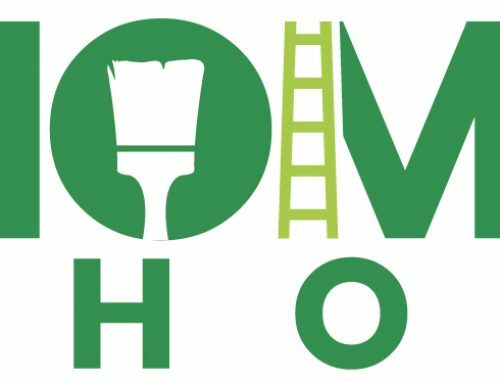 Every business has a sign out front, but sometimes interior branding can be a challenge. 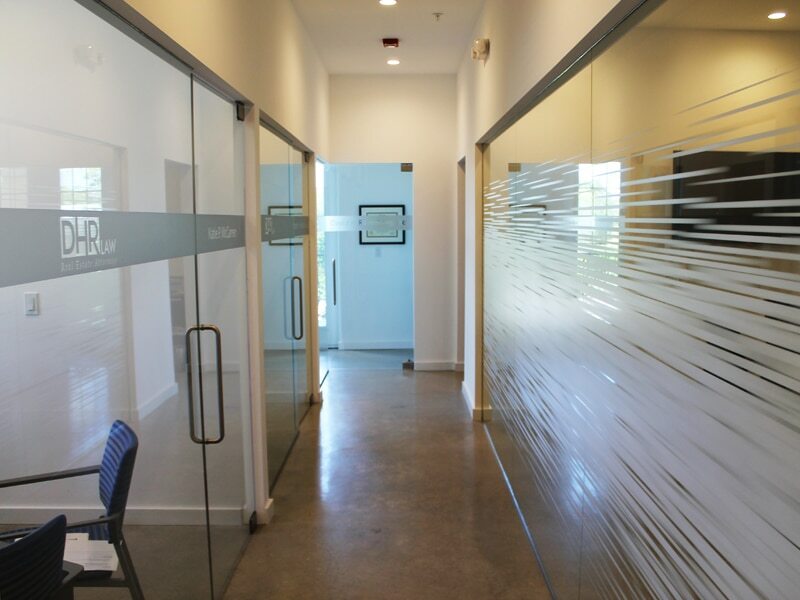 We offer etched logo solutions that can be applied to any glass surface in your office. 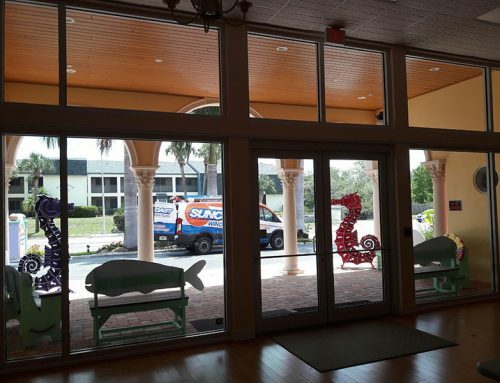 Etched logos are a subtle and classy way of displaying your company’s brand on any glass opening, even storefronts! We use only premium 3M vinyls that are designed to last and look great for years to come. As logos and brands change, so can the graphics. 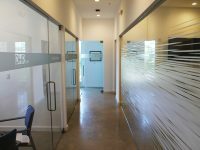 We can easily remove and update them as needed eliminating the replacement costs of traditional glass etching. We’ve all heard the thud of someone walking into a glass door or wall. This could be a huge liability for any business should someone get injured. Our films and custom etch vinyls offer a perfect solution to creating safety without compromising views or design schemes. 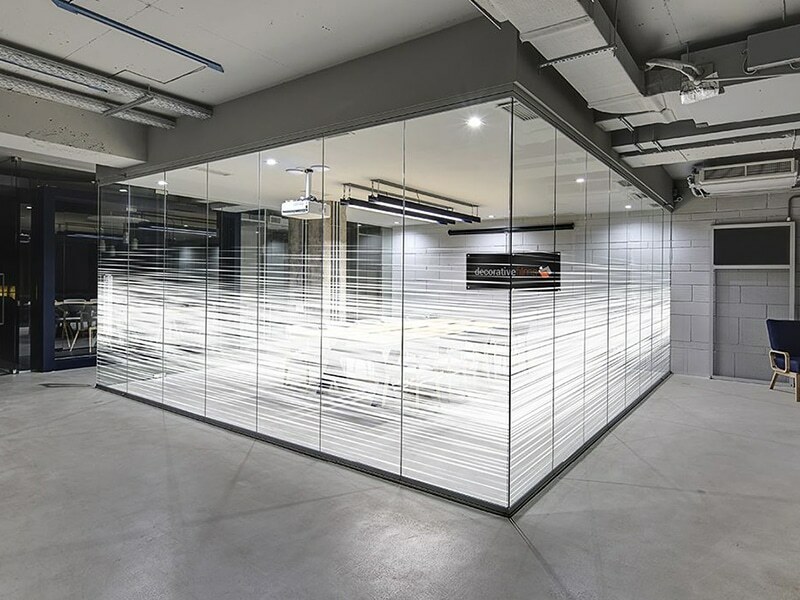 We provide this service to hotels, business offices, airports, anywhere there are large clear glass panels that pose a potential threat to patrons. 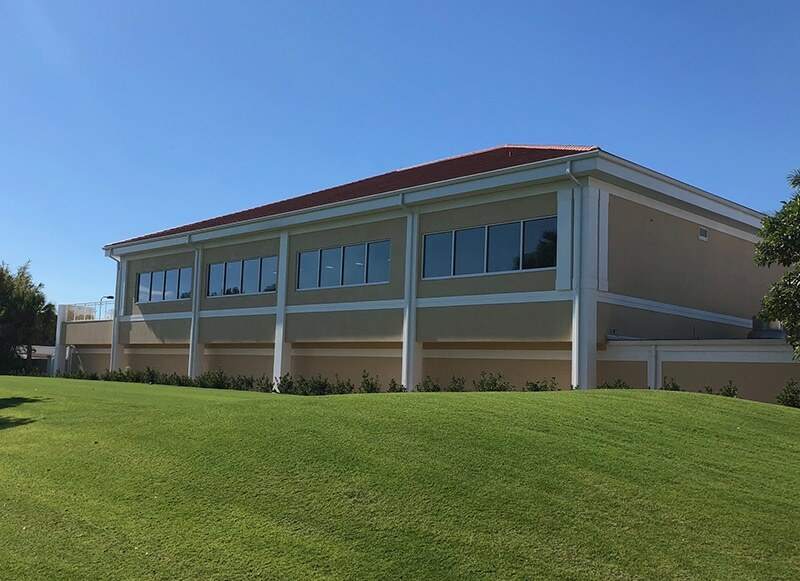 At Suncoast, we make a point to lead the way in the custom window film market. We have tons of stock options from mild to wild; and can even custom design your film! We offer free estimates and design mock-ups. Our team of designers and production experts have a reputation for bringing decorative film projects to life, with minimal downtime. We make the process easy and you’ll love the end result! Call Our Decorative Film Division today at 941-526-5913 or Email Us for more information, samples and estimates. We look forward to hearing from you!